Sins of the Father is back! 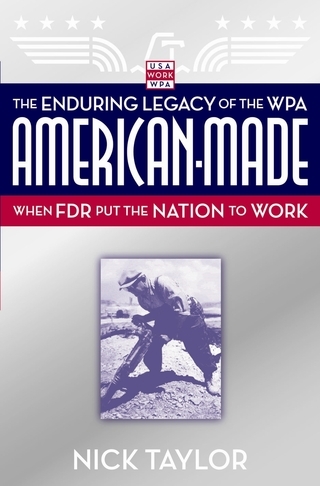 American-Made is still available in hardcover. 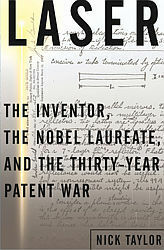 The story of the lone genius who fought for thirty years for recognition as the inventor of the laser. The Washington Post hailed A Necessary End as "one of the key stories of our time." A year with professional bass fishing's creator and its first heroes as it emerges as a professional sport. 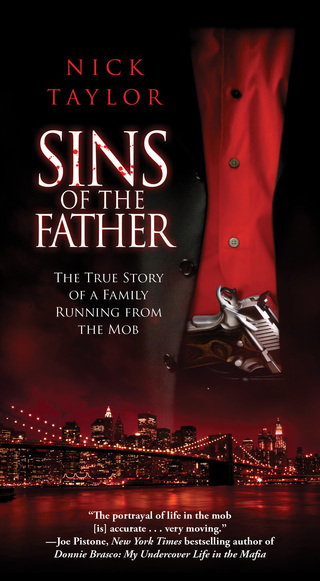 Sins of the Father is the story of two sons whose father's crimes as a Mafia associate, and later as a turncoat who testified against John Gotti, led their family into the federal Witness Protection Program. Sal Polisi's life of crime is the backdrop for Sal Jr. and Joe Polisi's struggle to regain their lives after the witness program ripped away the only identities they knew. They, their father, and their mother Rosemarie, were stalked by mobsters seeking revenge as they created a new life away from the Mafia hotbed of New York City. And the boys -- who were scholarship level football players recruited by top-flight colleges -- had to forget their names and learn new ones while they reestablished their football careers to break the circle of crime that bound their father. 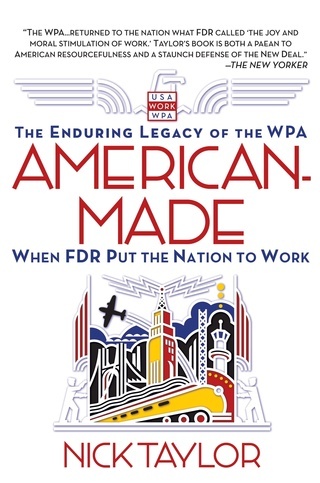 American-Made has been released in paperback. Go to the Home Page for details about the book. Gordon Gould was a thirty-seven-year-old Ph.D. candidate in physics at Columbia University when he woke up on night in November, 1957, with the key to the laser in his mind. He wrote it out over several days and had his notebook notarized at a Bronx candy store. That notebook became the key to Gould's fight to win credit for his role in discovering the laser -- and the millions of dollars he know would accompany that credit. The U.S. Patent Office and the scientific establishment fought him every step of the war, but after thirty years, Gould emerged victorious. Laser is the story of this lone genius and his singular story. The Citadel Press trade paperback of Laser appeared in July, 2003. Every eye in America was trained to a television set as John Glenn blasted off from Cape Canaveral to become the first American to orbit the earth in February, 1962. His successful mission became a metaphor for parity with the Soviet Union in the cold war space race, and Glenn became instantly famous. Thirty-six years later, after conveying his fame into four terms in the United States Senate and a run for President, Glenn climbed into the space shuttle Discovery and blasted off again to become the oldest space voyager in history. John Glenn: A Memoir, written by Glenn with Nick Taylor, tells for the first time in his own words Glenn's remarkable story -- his small town youth, his lifelong love affair with his wife Annie, his service in World War II and Korea, his careers as astronaut and senator, and his amazing return to space at age 77. My parents were in their seventies when my wife and I watched them drive away one rainy morning toward a new life in Mexico. I thought they were impossibly frail, and I feared for their welfare. They reached their new home near Guadalajara with no unusual incidents, but over the ensuing years, their age and infirmities drew me deeper into their lives. Finally, after Dad had a heart attack and Mom started losing her memory, I had to move them back to an apartment in Ft. Myers, Florida, where we had lived when I was growing up. There, the generational switch continued as I became my parents' keeper in their final years. A unique story in American sports history, Bass Wars tells how Alabama insurance salesman Ray Scott created a new professional sport in tournament bass fishing, and spends a year with the heroes of that sport as they seek fame and fortune with their rods and reels. Bass Wars follows Rick Clunn, a four-time winner of the BASS Masters Classic and one of pro bass fishing's first idols, as he goes about his mystical preparations for the tournaments. And it tracks two young fishermen, Randy Moseley and Randy Blaukat, as they follow their entirely different approaches to breaking into the big time. This groundbreaking book conveys the tension of fierce competition, the thrill of victory and the disappointment of defeat in a sport created out of one man's dream. Dr. Sidney J. Winawer, with whom Nick Taylor wrote this book, was one of the world's leading cancer experts. Yet when his wife was stricken with stomach cancer, not even his skills and dedication could reverse the grim prognosis. But together Andrea and Sidney Winawer became explorers in a new world outside of mainstream medicine. Healing Lessons is the story of a doctor's transformation -- the new treatments and the lessons he learned on the opposite side of the doctor-patient relationship. Most of all, it is a testament to the strength of love. Co-author Yaron Svoray, an Israeli journalist, was travelling in Germany when he met a young skinhead, who, not realizing he was Jewish, introduced him to the semisecret world of German neo-Nazism. In Hitler's Shadow is a sobering report on the real threat that is posed by Germany's neo-Nazi movement, and a startling portrayal of the dangerous personalities behind it, told by a man of immense courage who penetrated its heart of darkness. The book's introduction is by Simon Wiesenthal. Ordinary Miracles is the story of a group of people bound together by their shared faith. Vividly and intimately, it describes the commitment of the people of St. Mary's to their community and to their families. It opens up the astonishing events in people's lives that occur in the daily rounds of parish life. A caring portrait of church life in America, it has the charm of a home video about people you care about.